This 6mm comfort-fit Cobalt band's unique textured finish creates an industrial chic look for a lasting impression. 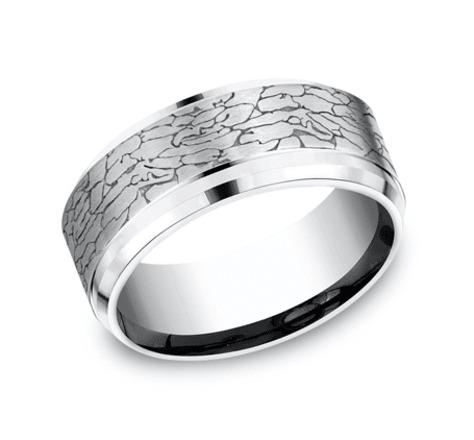 Inspired by the Dogwood tree, this 6mm Cobalt band features a dimensional bark motif. 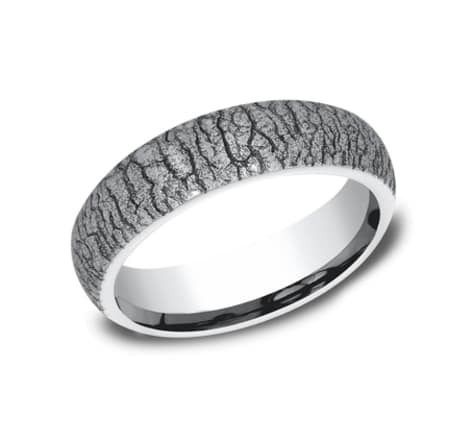 This 6mm comfort-fit Cobalt ring features a plastered texture for a one of a kind look. This 7mm Cobalt comfort-fit swirl brushed band features high polished edges that offers a touch of elegance. This Cobalt 6.5mm Comfort-Fit band features high polish round edges and a swirl fiberglass finish on the center. The satin finish on our elegant flat comfort-fit profile gives this 6mm Cobalt design ring a sophisticated edge. This unique Cobalt 6mm comfort-fit satin-finished band features a high polished round edge that exemplifies subtle, yet impeccable style. This unique Cobalt 6mm comfort-fit band features a high polished finish for a more traditional yet modern appearance. 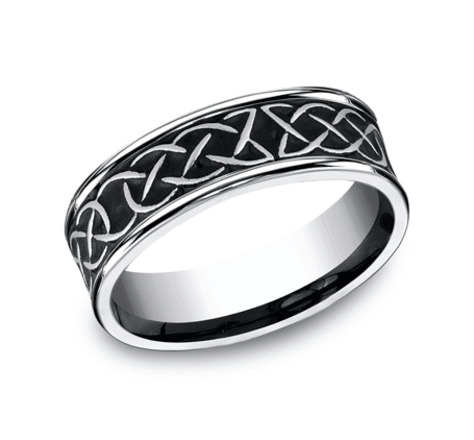 Representing the timeless nature of love, this 8mm Cobalt design band features an endless Celtic Knot pattern. 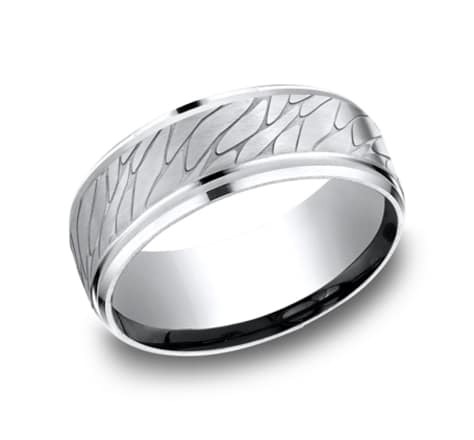 This Cobalt design band features a unique satin finished cracked pattern. We've re-imagined our classic satin finish to create a unique texture on this 8mm comfort-fit Cobalt ring. 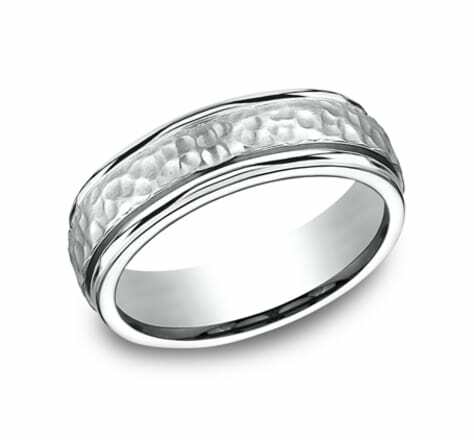 This Cobalt design band features the iconic Celtic Knot center amidst high polish drop bevel edges. 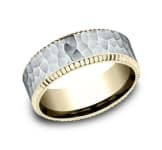 The fractured rock look of this Cobalt design band creates a stunning shimmering effect resembling sunlight reflecting off of a choppy sea. 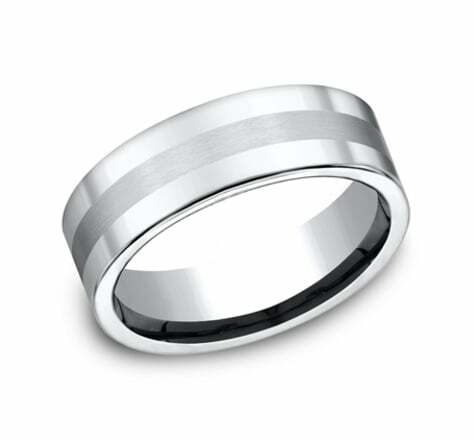 This incredible Cobalt 9mm comfort-fit satin-finished band features a high polished "stair-step" style edge. 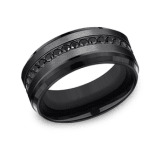 This unique and stylish 9mm Comfort Fit Cobalt band features evenly spaced deep cuts with a satin finish. 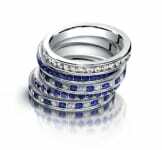 This stylish comfort-fit Cobalt band features a uniquely cut center that creates an illusion of being multiple pieces. 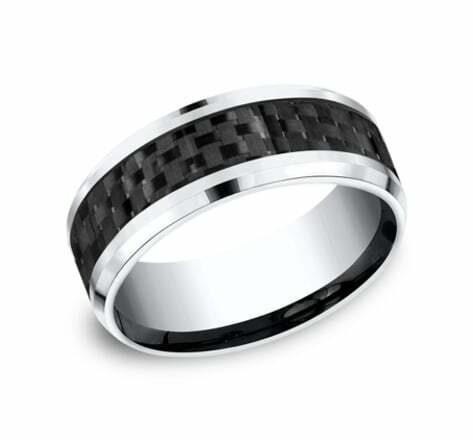 This unique 9mm comfort-fit Cobalt band features a carbon fiber center inlay with high polished beveled round edges that is both sleek and subtle. This unique Cobalt 5mm comfort-fit band features a high polished finish for a more traditional yet modern appearance. 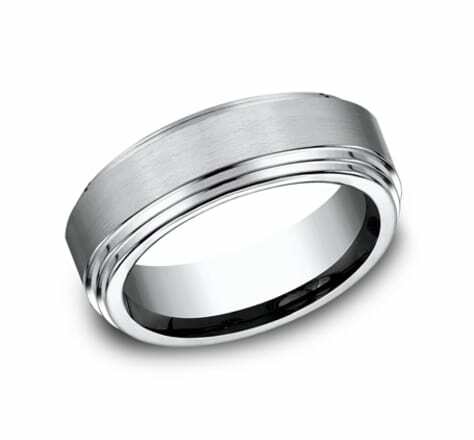 This unique Cobalt 8mm comfort-fit band features a satin-finished center and a high polished double edge. This unique Cobalt 6mm comfort-fit band features a satin-finish with a high polished beveled edge. 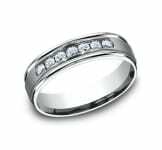 This classy and elegant 6.5mm Cobalt band features a slight flat surface and offers Comfort-Fit on the inside for unForgettable comfort. This unique 8mm comfort-fit Cobalt band features a carbon fiber center inlay with high polished beveled edges that is both sleek and subtle. 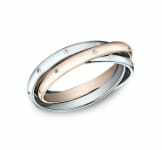 This Cobalt 7mm comfort-fit satin-finished band features a concaved center and beveled edge that offers both class and style. This awesome 7mm high-polished Cobalt band features two horizontal blackened cuts along a satin-finished center and beveled edges. This unique Cobalt 8mm comfort-fit satin-finished band features a high polished round edge that exemplifies subtle, yet impeccable style. 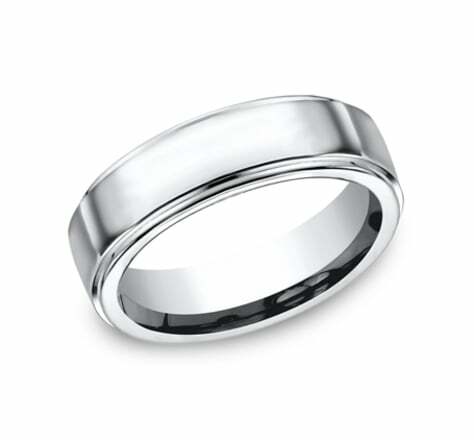 This unique Cobalt 6mm comfort-fit satin-finished band features a high polished center trim. 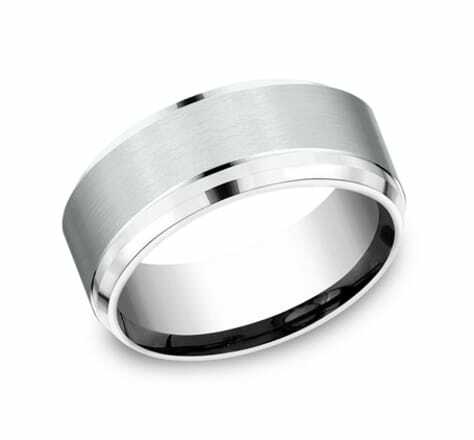 This classy and elegant 4.5mm Cobalt band features a slight flat surface and offers Comfort-Fit on the inside for unForgettable comfort. 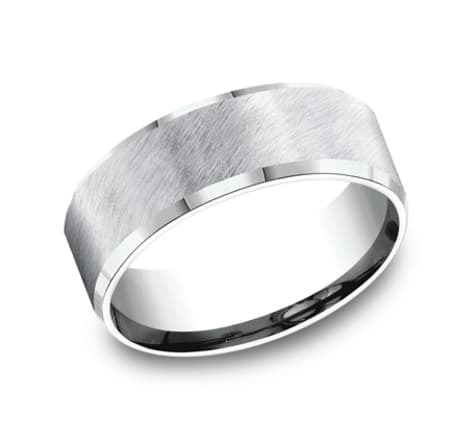 This unique Cobalt 7mm comfort-fit band features a high polished finish with a beveled edge that offers remarkable style. This incredible Cobalt 9mm comfort-fit four-sided band features a satin-finished center and a high polished beveled edge. This fascinating high-polished 7mm Cobalt band features tribal designs along the center and a comfort-fit on the inside. 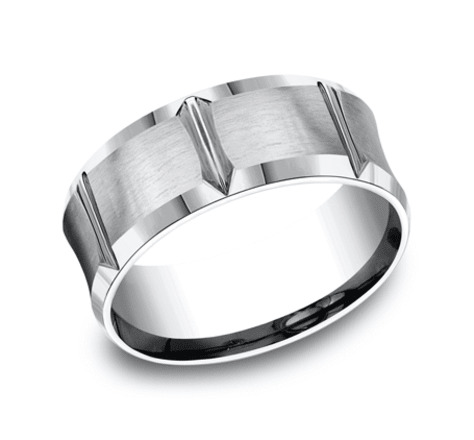 This unique Cobalt 10mm comfort-fit satin-finished band features high polished horizontal grooves and a high polished beveled edge. This awesome 8mm high-polished comfort-fit Cobalt band features a wood grain inlay and beveled edges. This awesome 7.5mm comfort-fit Cobalt band features a satin-finish and a european side profile. This aggressive looking Cobalt 7mm comfort-fit band features a hammered-finish center with high polished edges that offers both class and strength. This unique Cobalt 10mm comfort-fit satin-finished band features high polished horizontal grooves between three round ideal-cut stones. 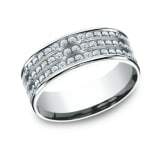 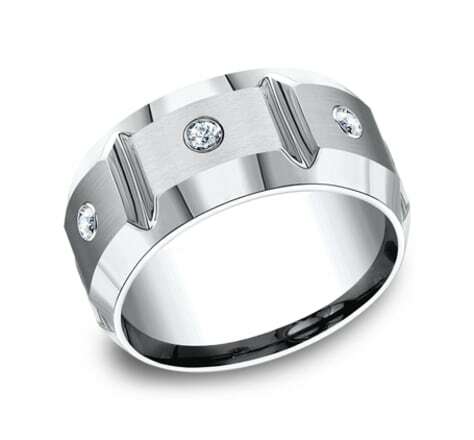 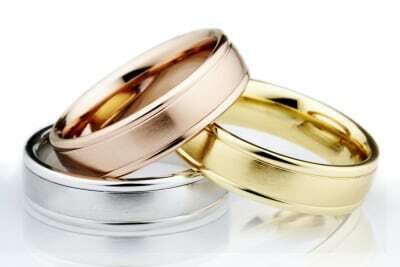 This band also features a high polished beveled edge. 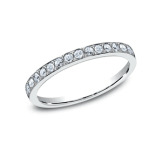 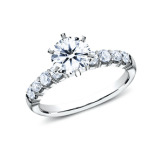 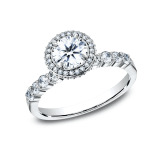 Approximate total diamond carat weight is .20ct. This unique Cobalt 7mm comfort-fit band features a high polished finish for a more traditional yet modern appearance. 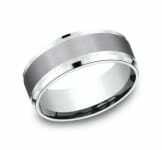 This unique Cobalt 7.5mm comfort-fit band features a satin center line and high polished edges. 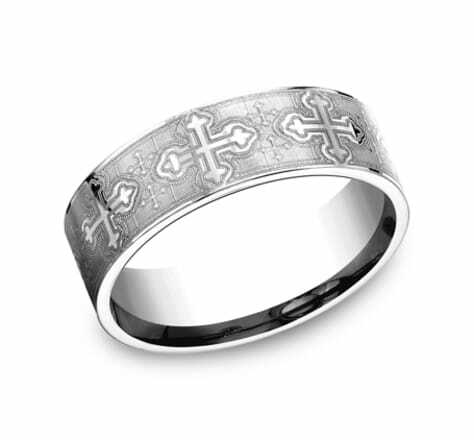 This awesome Cobalt 7mm comfort-fit band features small and large cross designs along the center for unForgettable style.